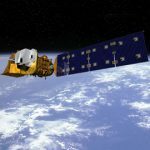 United Launch Alliance has secured a potential $153.8 million contract from NASA to provide launch support services for the Landsat 9 satellite. NASA said Friday it expects Landsat 9 to take off aboard the Boeing (NYSE: BA) and Lockheed Martin (NYSE: LMT) joint venture’s Atlas V 401 rocket from Vandenberg Air Force Base in California as early as December 2020. Landsat 9 is a joint project of NASA and the U.S. Geological Survey designed to gather multispectral images of the global land surface and observe land use changes. The space agency’s launch services program at Florida-based Kennedy Space Center will oversee the contract with ULA. NASA’s Goddard Space Flight Center is responsible for spacecraft development functions in behalf of the agency’s science mission directorate.